"People are alarmed because the Coyote River was painted white. 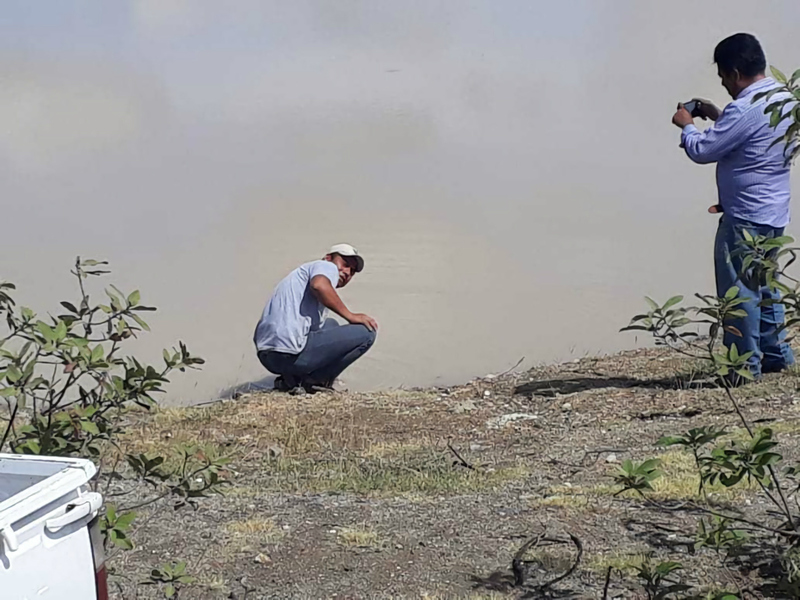 Just 10 meters from the river is the water well that supplies my town, my people; and the municipal authority has already warned people not to consume the water from the well, but the miners say they don't pollute," said a representative of Magdalena Ocotlán. Authorities of the Indigenous Zapotec town of Magdalena Ocotlán informed that on the morning of October 8, residents observed a stream of white water in the tributary of the Coyote Creek that passes through their community, located 5 kilometers downriver from the “San José” gold and silver mine in the neighboring community of San José del Progreso. Local officials insist that the source of contamination is a tailings dam where the Vancouver-based precious metals producer stores waste from its underground mine, in commercial production since 2011. 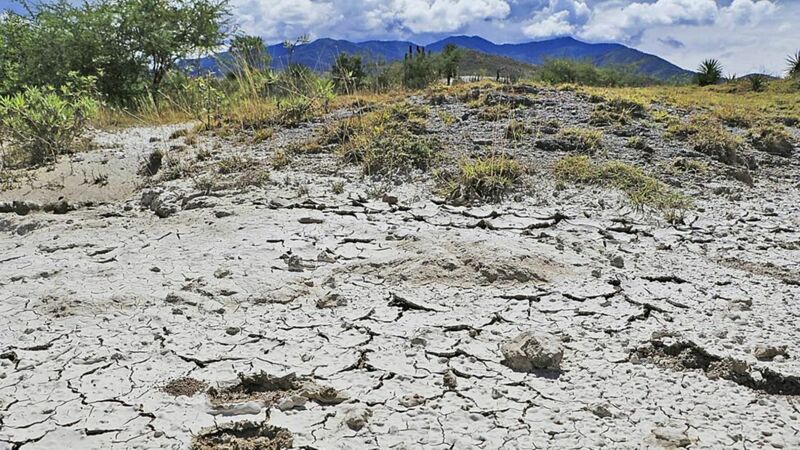 The affected creek passes no more than ten meters from the primary drinking water well in Magdalena Ocotlán, and ultimately flows into the Atoyac River, the most significant tributary in Oaxaca City. 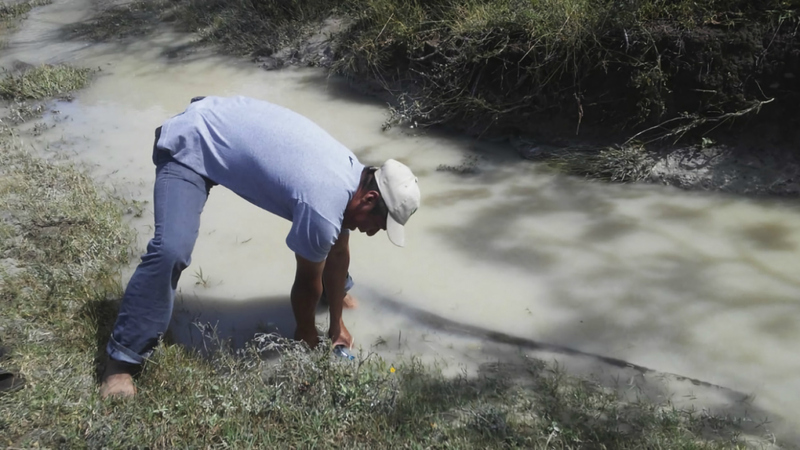 Residents of Magdalena Ocotlán take samples of water contaminated by the Canadian-owned “San José” mine. Photo: Authorities of Magdalena Ocotlán. Agrarian and municipal authorities of Magdalena Ocotlán, where the majority of residents earn a living through agriculture and cattle-raising, expressed alarm at the possible environmental and health impacts of the spill. On Monday they presented water samples and photographs to Mexico’s Federal Bureau of Environmental Protection (PROFEPA) in the hopes of initiating an investigation, and on Tuesday the Bureau sent a “verification brigade” to assess possible contamination. Local officials say the brigade met with management of the Cuzcatlán mining company, Fortuna Silver’s 100%-owned Mexican subsidiary, but did not seek out a meeting with representatives of the community. On Friday, PROFEPA confirmed that mud and fine mining waste from the San José tailings dam had overflowed directly into the Coyote Creek. Residents’ demands went beyond the assessment of damages and the adoption of mitigating measures, calling for the closure of the San José mine and a moratorium on the exploitation of mineral resources in Oaxaca: “We demand that the Federal Government not issue any more mining concessions, because these imply environmental impacts and irreparable risks for the population,” residents declared in an statement. “People are worried; they are no longer drinking our water,” declared an agrarian authority of Magdalena Ocotlán before a crowd of several hundred people, as he held up a plastic bottle filled with thick, beige liquid collected from the Coyote Creek. Villagers said that while the overflowing water has receded, a strong sulfuric odor lingers, and a thin, white layer of residue has stained soil and vegetation in the affected area, which includes farmland, a watering hole for animals, and an aquifer recharge zone.